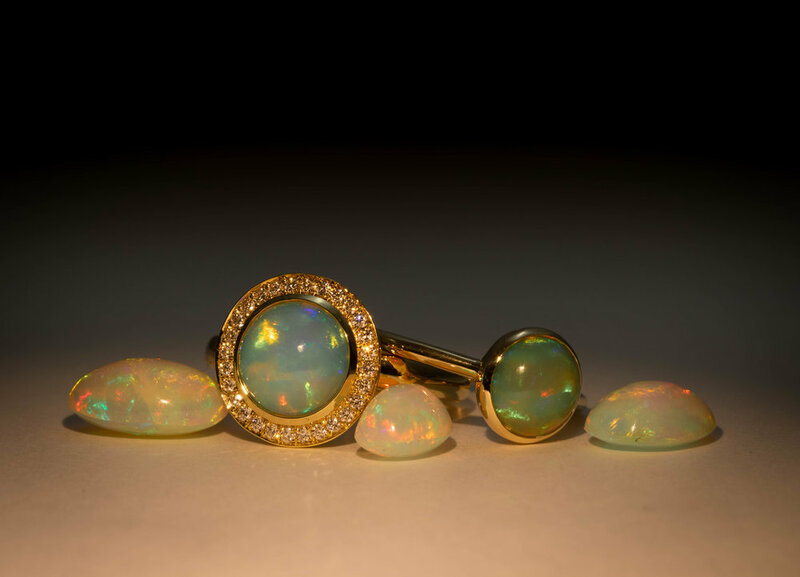 Ethiopian opal in 9ct yellow gold split shoulder mount. Made in Chichester. England. One-of-a-kind 18ct white gold feather and diamond set hinged bespoke bangle. Made in Chichester, England. 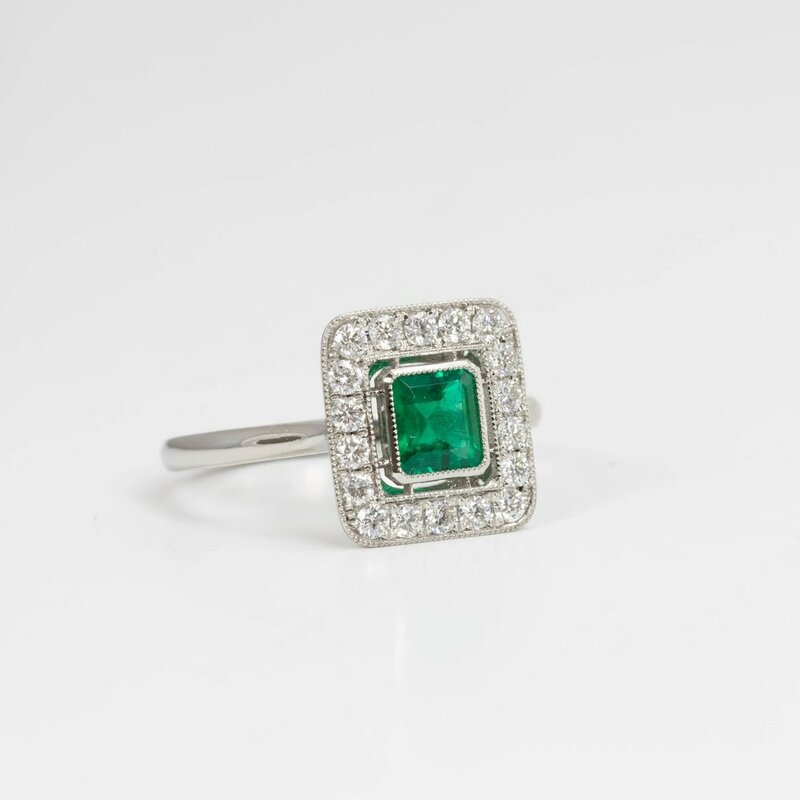 Pretty emerald and diamond set square cluster ring. 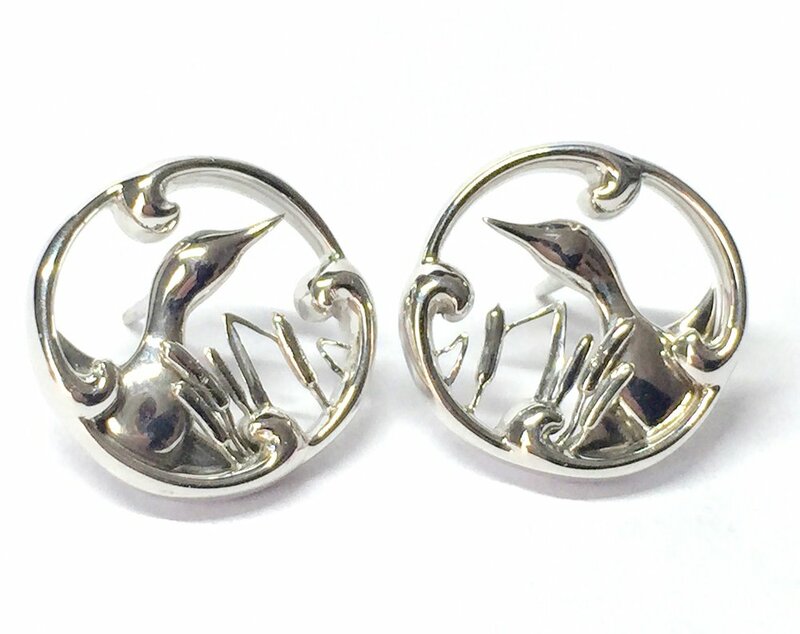 Made in Chichester England. 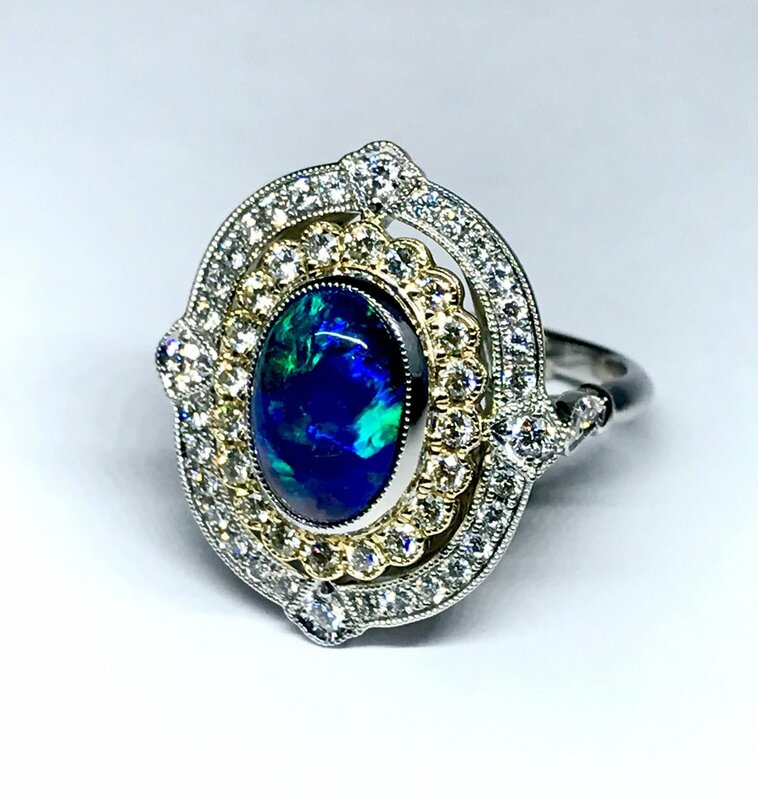 Black opal and diamond Edwardian style oval cluster ring. Made in Chichester, England. Green tourmaline and diamond wide band ring. Made in Chichester, England. 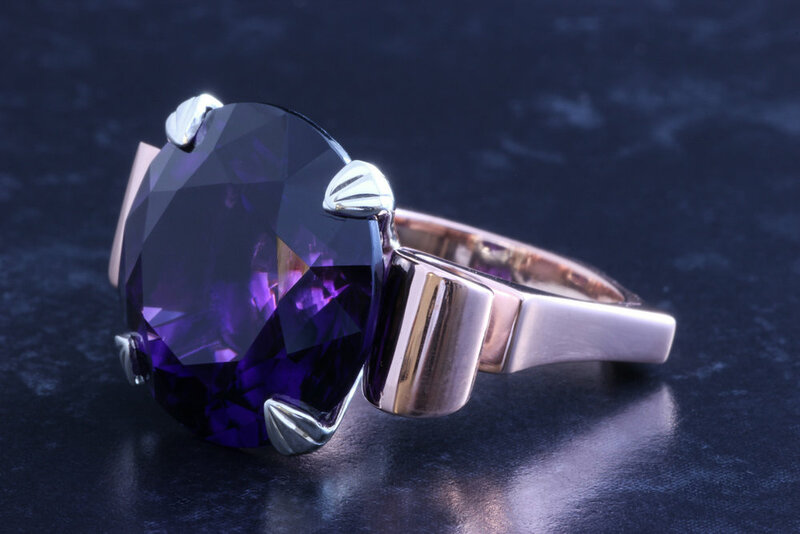 Large deep purple amethyst set cocktail ring. Made in Chichester, England. Diamond and alexandrite set oval cluster ring. Made in Chichester, England. 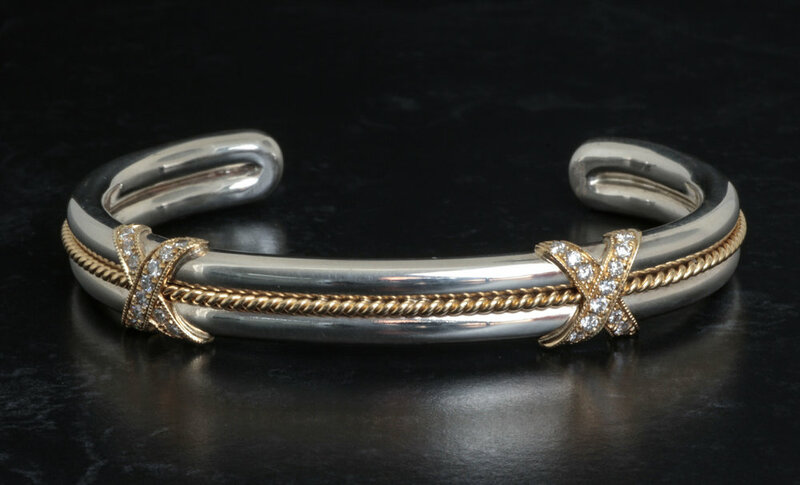 Silver and gold twist torque bangle with diamond set kiss decoration. Made in Chichester, England. White, brown and treated green diamond 3 stone ring with foliate diamond set band. Made in Chichester, England. Green/blue aquamarine (Beryl) and diamond ring. Made in Chichester, England. 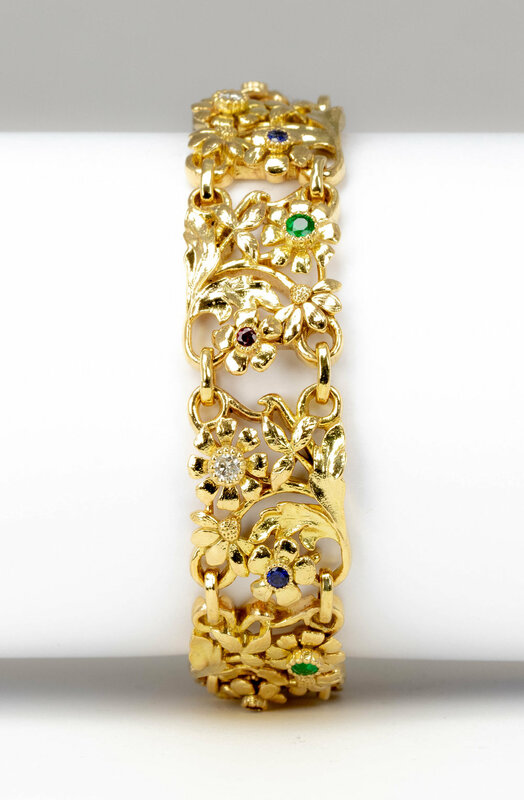 Gold foliate multi gem and diamond set panel bracelet. made in Chichester, England. 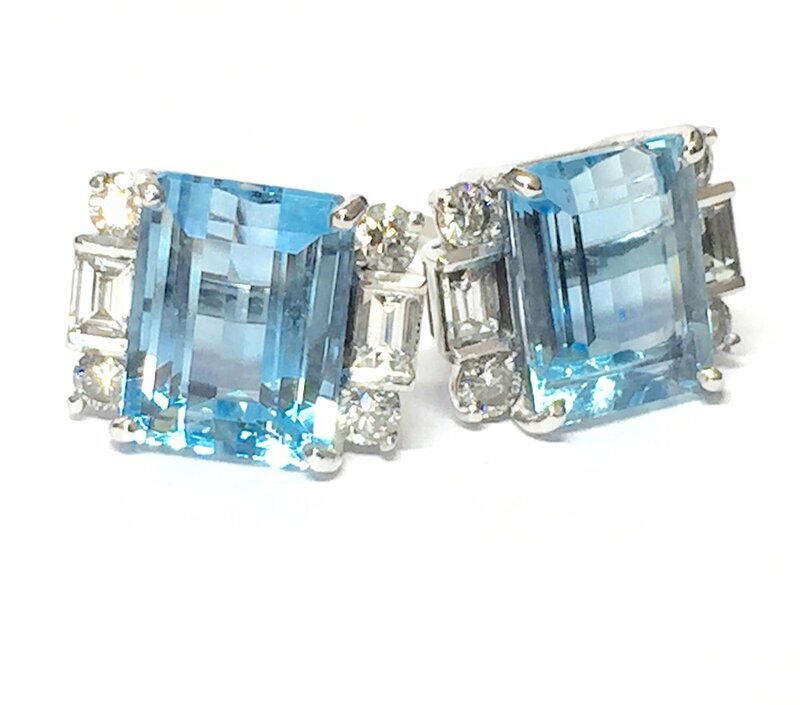 Aquamarine and diamond Art Deco style earrings. Made in Chichester, England.